A cute dog cake pan can add pizazz to your dog birthday cake decorating! And there are so many cute shaped cake pans to make it easy for you! If you have ever tried to make a novelty cake by cutting up cake layers and piecing it together to make a shape, you will really appreciate the ease of using a cake pan shape! This silicone cake pan is just the right size for a dog birthday cake mix. Easy to unmold and dishwasher safe. Great for dog treats for male dogs. Made of silicone. Freeze your dog treats or bake them. Easy cleanup. Makes 15 treats at a time. Wilton quality aluminum cake pan. The pan comes with easy instructions and gives you a cute cake that is easy to make and decorate. Make donuts, cupcakes or bar cookies for your dog with this cute little appliance. Great for using with mixes and to introduce children to baking. 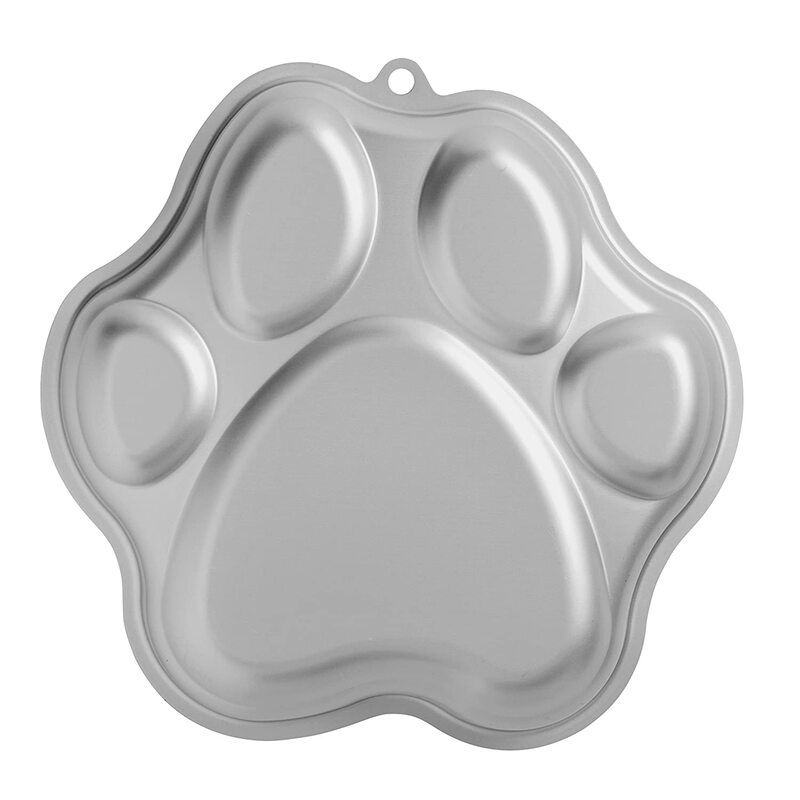 Adorable dog shaped cake pan. Decorating this cute dog cake will take a little more time than some. Easy care silicone dog pan, perfect for puppy cakes for your dog’s birthday party celebration. 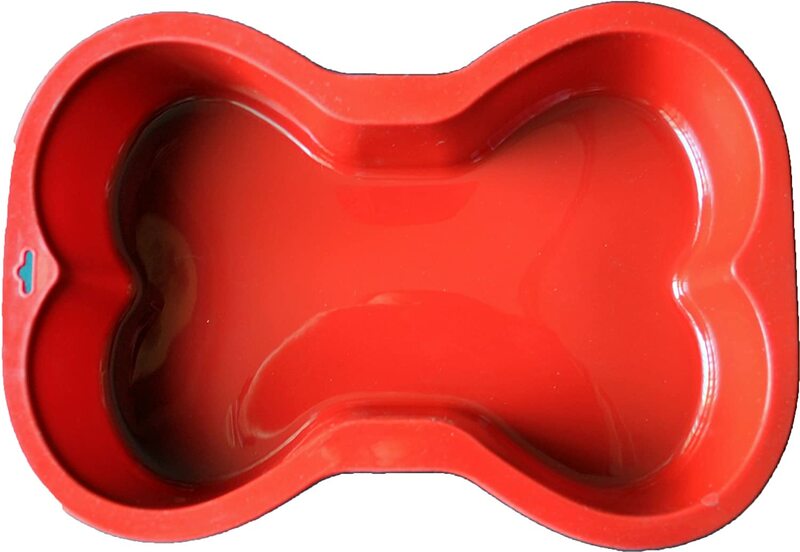 For those who prefer silicone, this larger dog bone cake pan can be used in the microwave or the freezer. When you’re done, throw it into the dishwasher! Make cute little dog donuts with this pan. Dip in dog frosting to decorate. Can be used in microwave, oven, freezer. Dishwasher safe. Makes 18 donuts. Make cute roses with this Nordic Ware nonstick cake pan for muffin or cupcake size treats. Never use paper again. Bright colored silicone cupcake or muffin cups. Use to line a muffin tin. Oven, microwave, and dishwasher safe. For people or dogs! Set includes 24 cups. Serving size dog cakes are easy with this Nordic Ware brownie pan. The little cakes really do come out looking like the pan’s shape! Bite size bones for your big dog party! Easy care silicone pan. Great for frosty paws! 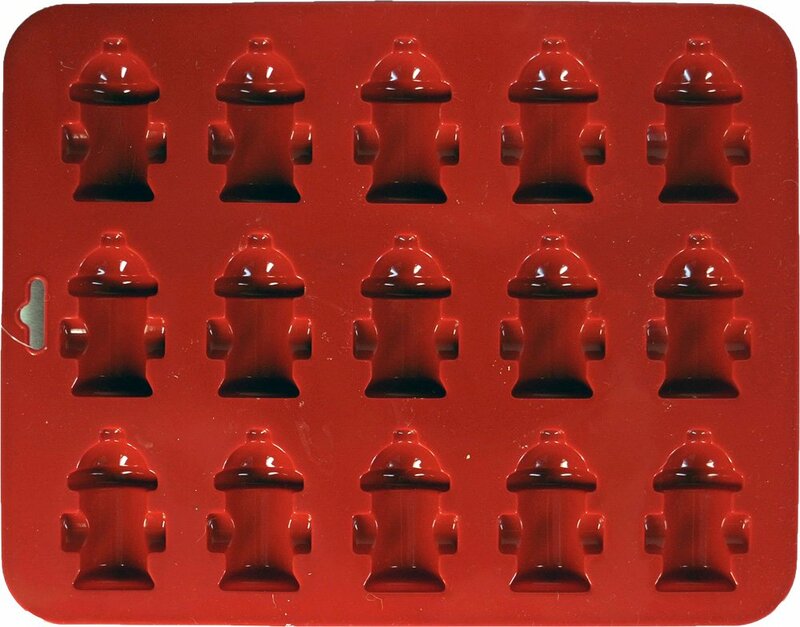 This Nordic Ware quality tea cake pan gives you 24 little cakes (assorted shaped) that are a great size for smaller dogs. Large dog bone shaped cake pan, perfect for a larger dog party. Good quality and heavy duty. Even better, many shaped cake pans can be used for other treats. You can make frozen dog treats, finger gelatin for the kids, or fun mini cakes for people parties. A dog bone cake pan makes a cute birthday party cake. Because the cake pan has a cute shape (and many have good details), your decorating job should be fairly easy. For most dog cakes, you will still want to use dog treat icing. And embellishments like sprinkles and toppers can finish the job quickly. In addition, you can make quick work of the job by using one of the dog cake mixes on the market. Most are sugarless and do not have added chemicals. Whatever the occasion, a dog cake pan gives you a good start to preparing refreshments for the party. And you’ll find that using one to make a cake, is really a lot of fun!